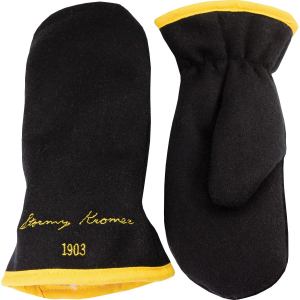 51880 Stormy Kromer Benchwarmer Mittens Get ready to clap for your favorite team no matter how cold it is in these premium wool and sherpa hand holders. 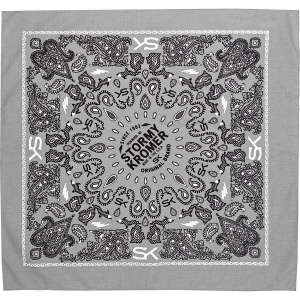 Produced in 11 fan-favorite color combinations. 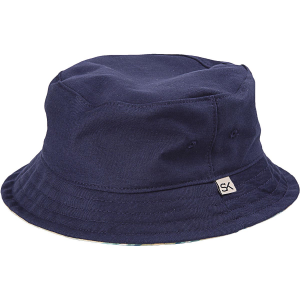 50330 Stormy Kromer Bucket Hat Nothing says summer like a Bucket Hat, and Kromer's features a nod to classic Stormy Kromer style with a hint of plaid under the brim. 51500 Stormy Kromer Men's Bunkhouse Trouser Bunkhouses were built to keep folks warm in the coldest weather, and these trousers were built the same way. Put 'em on one leg at a time and march comfortably into the elements. 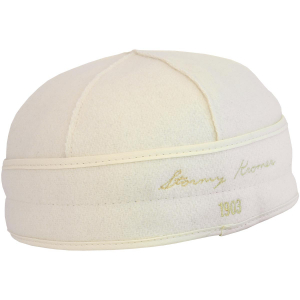 51960 Stormy Kromer Cabin Blanket It's hard to beat a winter's day at the cabin. 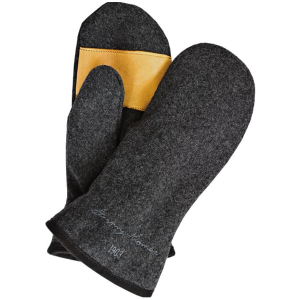 Or anywhere, when you're snuggled up in a 100% cotton flannel and 400-gram poly fleece. At 52"x68" it's big enough for a little getaway right on the couch. 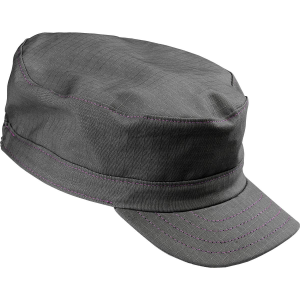 50480 Stormy Kromer Cadet Cap The Cadet Cap combines the technical silhouette of Stormy Kromer's winter Flat Top Cap with breathable, summer-weight cotton. 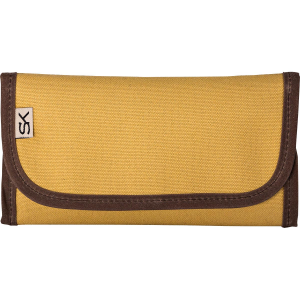 In colors for both men and women, the Cadet is a comfortable warm weather alternative. 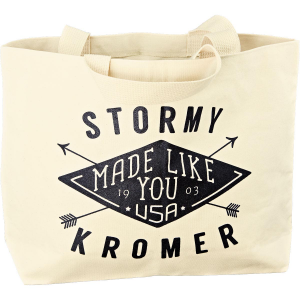 50490 Stormy Kromer Depot Cap The unique shape of the unlined Depot Cap provides a fun twist on The Cadet Cap, while "Made Like You" embroidery allows its owners to show a little Stormy Kromer pride at the beach. 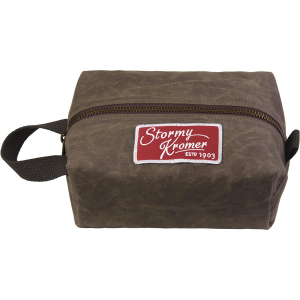 50980 Stormy Kromer Dopp Kit Made with waxed cotton inside and out, this handy zippered bag is perfect for all your travel needs. 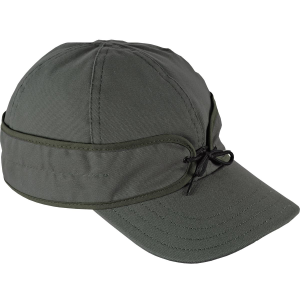 50200 Stormy Kromer Field Cap Whether the "field"means the local ballpark or the back forty, this new lightweight, unlined cap will go with you. 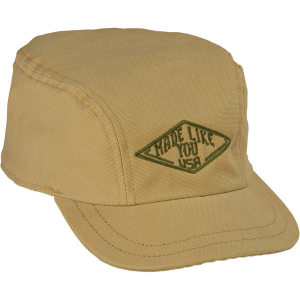 Featuring soft, brushed canvas and a longer brim to shield you from the sun. 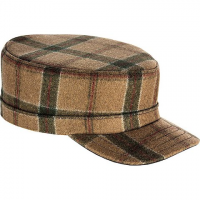 The Flat Top is a simple yet rugged addition to the Stormy Kromer Line. 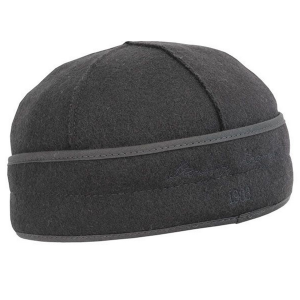 This cadet-style cap is made from their premium 80/20 wool/nylon and is unlined making it perfect for those brisk not-quite-winter days. 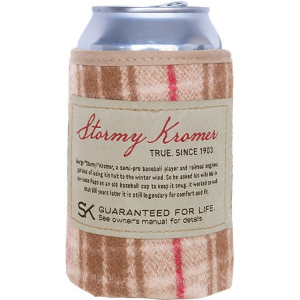 These rugged can and bottle koozies made out of 80% wool and 20% nylon will keep your hands warm. Now in a variety of our favorite plaids, and complete with the story sewn on the front.